Summerlin is a Master Planned Community inside Las Vegas spanning 22,500 Acres near the Red Rock Canyon National Conservation Area. Summerlin has more than 150 Parks and more than 150 Miles of Trails. The Summerlin Zip Codes are 89128, 89134, 89135, 89144, and 89145.You can view the Las Vegas Zip Code Map here. The area has plenty to offer in health, wellness, fun and fitness ranging from its extensive biking trails, casino resort and spa, and the downtown shops with outdoor movies, to yoga classes and a weekly outdoor farmer’s market. The views are scenic as it sits at a higher elevation. Many of the residents use the trails for biking, getting outdoors and staying active. This community has provided the best for a health and wellness based community. 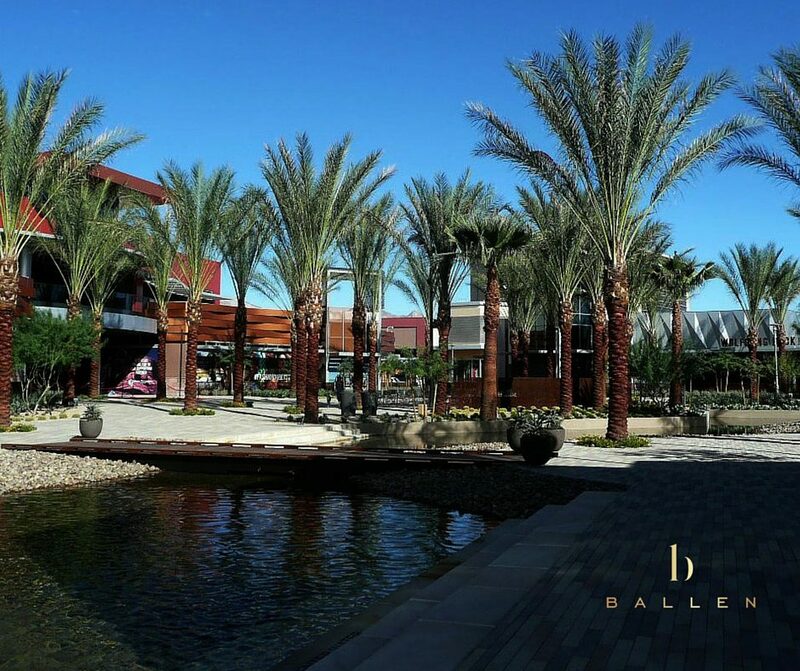 Summerlin welcomed its own shopping mall called Downtown Summerlin. The 1.6 million-square-foot shopping, resort hotel, casino, dining, and entertainment offers something for everyone. As one of the most affluent areas in Nevada, the average household income has been reported as $139,000. Voted as “Best Place to Live in America,” by Money Magazine, the community has seen an increase in residents. In 2000, it had 59,000 residents, but by 2010, this number jumped to 100,000. Inside Summerlin, you’ll find Villages. These Villages have a community and amenities of their own. Inside the Villages, you’ll find neighborhoods we call subdivisions. Many of these Villages also have Golf Course Communities. Each village has its own schools, shopping centers, pools, parks and so forth. You’ll find homes vary in sizes, styles, and prices based on the village. Below, you’ll find a list of villages with links to shop homes for sale and learn more about that particular area. At The Summit, which is in Southwest 89135 zip code, you’ll find Unparalleled luxury living. Howard Hughes Corporation brings you this 555-acre community near Downtown Summerlin. Discovery offers custom homes build around the Tom Fazio designed golf course with 18 holes, a clubhouse, fitness facility, and spa. Private Clubs and world-class amenities partnered with the highest levels of service will offer an attractive lifestyle. 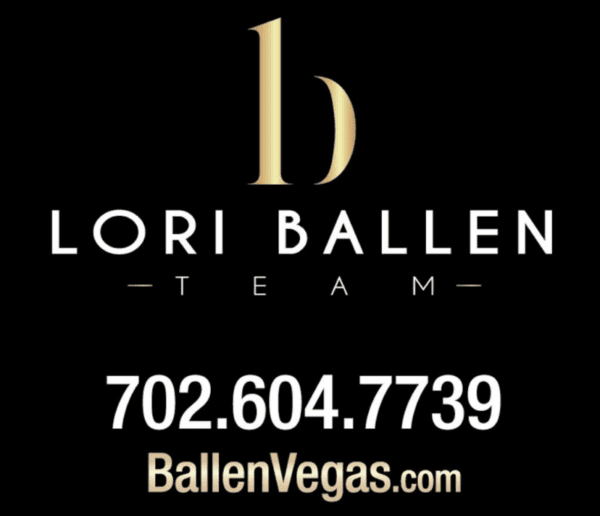 While the village is so new, there will be no resales, Lori Ballen Team can represent you in a new home purchase. More Coming Soon as this community develops. Red Rock Country Club offers a privileged few a lifestyle unparalleled in Southwest Summerlin Las Vegas 89135. This community is a 738-acre guard-gated residential village with around 1,000 luxury homes and many custom lots ready to build a dream home. Ridgebrook is a 100-acre residential village in Southwest Las Vegas 89135 with four single-family communities. 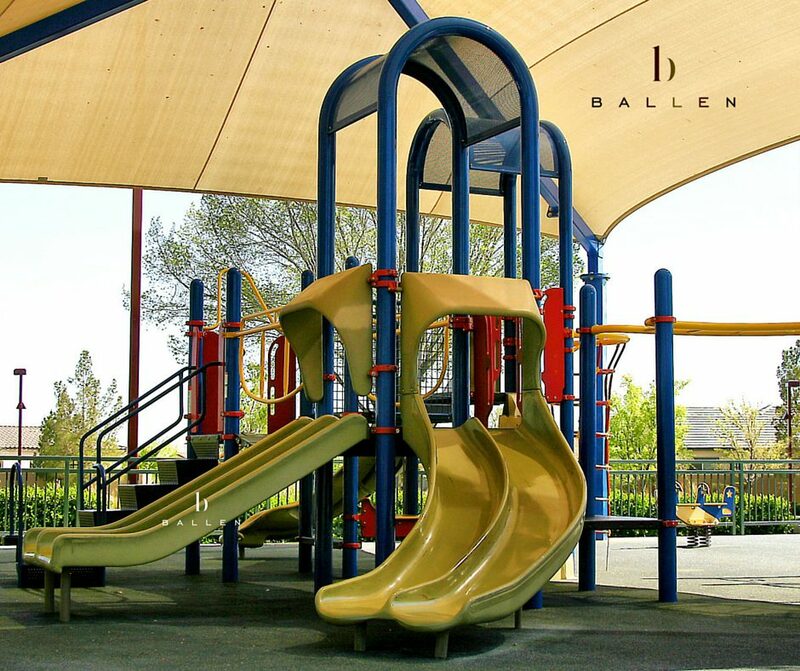 Ridgebrook is home to Ridgebrook Park which is a six-acre park in Summerlin featuring a lighted tennis court, basketball court, interactive water play area, children’s playground, and picnic area. Enjoy Siena, the sprawling 667-acre active adult golf community living inside the master-planned community of Summerlin in zip code 89135. This 55+ community is a vacation at home feeling like you’ve truly left the day-to-day grind, every single morning. A 6-foot high privacy wall encloses the golf community. You’ll find more security with the double guard gated entrances. Summerlin Centre is the shopping district of Summerlin. It’s near Town Center and Sahara and is near Downtown Summerlin as well as large shopping centers that are home to a large variety of dining locations such as Olive Garden, BJ’s restaurant, and Islands. This area has immediate access to the freeway and is near Red Rock Hotel and Casino. It’s in the Northwest Zip Code 89138. Sun City Summerlin is located in an ideal location. It is just minutes from the glamorous action of downtown Las Vegas and the Las Vegas Strip. Furthermore, it nestles against the Spring Mountain Range, at an altitude of 3,000 feet. It’s a 55+ golf community in Northwest Las Vegas 89134. If you are in the market for a neighborhood that is full of parks, spectacular views of the city, plenty of amenities, good schools, and close to all major shopping areas as well as in the Summerlin area then this village is the area for you. Just east of the 215 Beltway, is this popular 1,300-acre neighborhood. There are incredible views of the entire valley throughout the neighborhood. This neighborhood is known for its many recreational amenities and cultural mixture. It’s part of the Northwest Las Vegas Zip Code 89134. The Canyons Village is a 750-acre gated community is designed around the 18-hole championship Tournament Players Club golf course, which hosts the annual Shriners Open tournament. The Canyons is just minutes away from many shopping choices, dining, South Coast Casino, JW Marriott Resort Casino, and the Rampart. The community is situated near Summerlin Parkway to the North, N. Rampart Drive to the East, Alta Drive to the South and Town Center Drive to the West. It’s in the Northwest part of Summerlin in the zip code 89144. 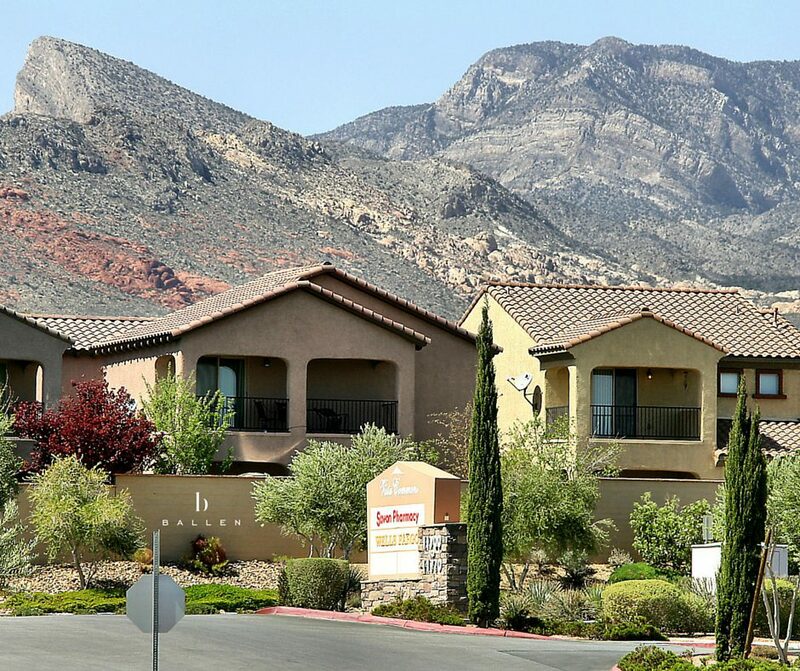 The Cliffs is A magnificent Southwest neighborhood that is a fairly recent addition to the Community in Las Vegas. This community is located at the base of the Spring Mountains in the zip code 89135. It is a luxury neighborhood with resort-style housing developments. Furthermore, it occupies a total of 450 acres, and it is well established. This area is home to Wet ‘n’ Wild Water Park. The Crossing and the subdivisions located in this village in Summerlin have a lot to boast of. One of the assets that The Crossings has to offer is a large business center measuring 110 acres containing approximately 1.2 million square feet of office space. Another advantage of living at The Crossings is the access to many parks. It’s in the Northwest and is part of the 89144 Zip Code. The Gardens is a village inside the Southwest zip code 89135. It’s near Desert Inn and Town Center. The Gardens Park is a central point of this neighborhood. The Hills is on the Northwest side of the master-planned community in the zip code 89134. Developed in the early 1990’s, The Hills is part of the Summerlin North homeowners association. The Hills park is a popular spot in this neighborhood. Even though The Hills South is called “South”, It is in the Northwest part of Summerlin and in the Northwest area of Las Vegas in the zip code 89134. The Hills South is home to the popular TPC Golf Course. The Mesa is a 497-acre village in the Southwest zip code 89135. It features single and multi-family homes and is known for it’s Mesa Park which is a 19-acre park with three little league baseball fields, tennis and basketball courts, concession building, tot lot area and picnic ramadas. The area is 503 – Southwest. The Paseos is located in the zip code region of 89138 Northwest Las Vegas, and is less than 5 minutes away from the 215 freeway, which allows quick access to the rest of the Las Vegas valley. Being A westernmost development, it enjoys beautiful nature views on one side with quick access to the rest of Las Vegas on the other. The Red Rock Casino is not 5 minutes away from The Paseos and the other communities in The Paseos. This village was started in 2003. An original Summerlin Village, the Pueblo is a Northwest Las Vegas community in the zip code 89128. Situated at the height of Summerlin, The Ridges represents the peak of luxury living in Southern Nevada. With bold yet refined architecture harmoniously fused with rugged natural beauty, The Ridges is the ideal location to make your architectural statement. It’s in the southwest zip code 89135. The Trails is in the Northwest part of the Valley in the zip code 89134. It’s near the Summerlin Post office and the Summerlin Library and is one of the earlier villages. The Vistas is a Village in Summerlin Las Vegas in the zip code 89138. The Vistas encompasses over 815 acres of both single family and multifamily neighborhoods. It is actually the first village developed in the western region of Summerlin. This area is considered Northwest. The Willows is a 731-acre mixed-use residential village with both Single- and multi-family neighborhoods including custom homes in Willow Falls. Willow Creek, is a guard-gated mini-village that is home to a custom neighborhood as well as three different luxury home communities. The Willows is in the Southwest zip code 89135. The Willows Community center and pool which is owned by The Summerlin Council. Enjoyed by all ages is The Willows park which is 12.7 acres and includes a lighted little league and baseball field, lighted basketball court and a great children’s play area. With over two dozen parks, there are small development parks, as well as larger community parks for all residents to access and you will find that each development in Summerlin has its own parks, community center and facilities. Common amenities include: basketball courts, playgrounds, tennis courts, football fields, shuffleboard courts, sand volley courts, swimming pools, bocce ball and horseshoes. Each development has a community center. You can find barbecue stations, water spray areas and courses for hiking, biking, and tricycle courses for the kids. The pools in Summerlin are owned and operated by the Summerlin Council and include the Willows Pool, the Trails Pool, and the Pavilion Center Pool which is separately operated by the city of Las Vegas. Downtown Summerlin With over 125 stores, eateries, and venues, the Howard Hughes project helps to support the affluent Summerlin community. 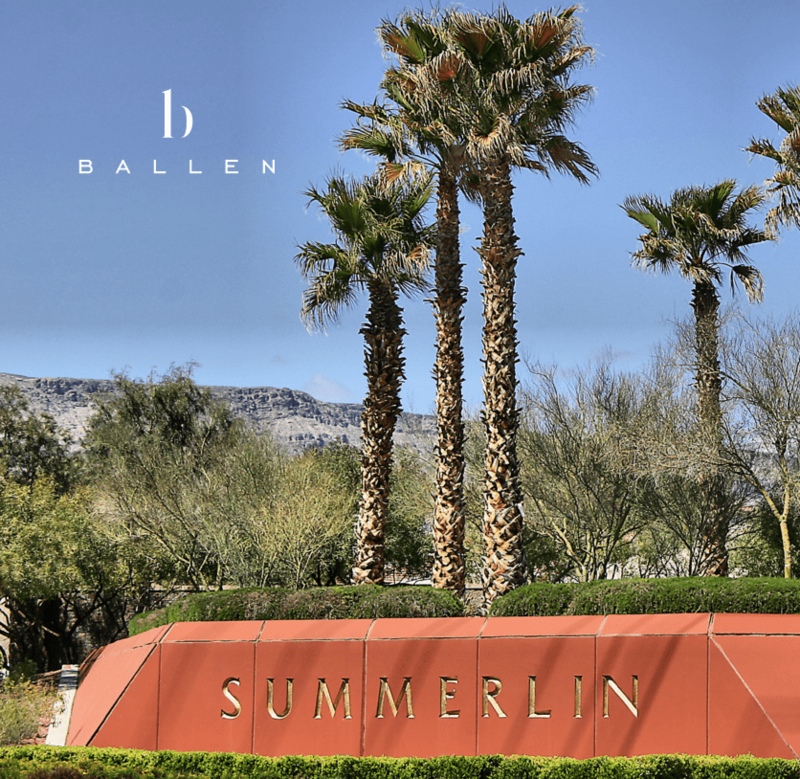 Some may speculate that Summerlin’s recent rise in home sales can be attributed to the Downtown Summerlin area. It offers retail experiences and entertainment venues to the residents of Summerlin. It offers dining options, shopping stores, office suites, entertainment venues and housing in an urban environment. Location: Charleston Boulevard, Sahara Avenue, Town Center Drive and the 215 Beltway. Outdoor movies are shown in this open area every Thursday. It’s a great family atmosphere, and you can spend time with the kids. The Constellation: The name references the Lockheed airliner, and serves as an upscale permanent apartment and townhouse residence with a masseuse, aesthetician, spa, cabanas, fitness center and pools. With sixteen different 3-story buildings, they offer 4 to 15 apartment units each. Some come with their own attached garages. Additional amenities include the cabinetry, plumbing, and lighting that are all high-end appliances. Free breakfast and Wi-Fi in public sections of the hotel. Pool, Gym, fitness center and suites options. Inside Summerlin, you’ll find Villages. These Villages have a community and amenities of their own. Inside the Villages, you’ll find neighborhoods we call subdivisions. Many of these Villages also have Golf Course Communities. Check out these Summerlin Homes For Sale.